Wow! What a surprise! A new line-up of Megadeth! Joining the two Daves are Brazilian guitarist Kiko Loureiro and Lamb of God drummer Chris Adler. I had no issue with Chris Broderick and Shawn Drover being in the band but I guess when it comes to Megadeth, everyone Dave Mustaine is on borrowed time. On to the music at hand, Dystopia is easily the band’s best release since 2004’s The System Has Failed. For the record (no pun intended), I thought Super Collider (2013) had some enjoyable moments but was a little lost on direction. Going a few years further back to Th13teen and Endgame, the band was trying to get heavy again but they completely forgot about melody. Both of those albums were frenetic, forgettable messes and I was starting to think Mega Dave had lost his touch. It’s interesting that Dystopia has the band sounding as tight as a ever as a new producer has come on board in the form of Chris Rakestraw. Perhaps he helped breathed some new life into the band. I never thought Andy Sneap and especially Johnny K ever truly delivered. I hope Dave never uses either of them again. As with any album these days, there are multiple editions of it. I ordered my signed vinyl copy through the band’s PledgeMusic page and it came with a digital download of the album as well. The digital download and Spotify editions both include a cover of Budgie’s “Melt the Ice Away” as a bonus track. Japan gets “Me Hate You” while iTunes & Best Buy get “Last Dying Wish” and “Look Who’s Talking”. I’d love to hear those three songs but they haven’t hit YouTube yet! It’s the album’s two cover songs that do absolutely nothing for me. The Budgie song and Fear’s “Foreign Policy”. The funny thing is, I’ve read people knocking Megadeth for having a punk song and some people saying it’s the worst Megadeth song ever… apparently they don’t realize it’s a cover song. Everything else is top notch. “The Threat Is Real” and “Dystopia” are classic Megadeth and a great one-two combo to open the album. “Poisonous Shadows” is a moody number that sounds like it’s from The System Has Failed. “Lying In State” has a The System Has Failed vibe as well. “Conquer Or Die” is a fantastic instrumental that gives Kiko a co-writing credit. I haven’t listened to a new Megadeth release this much since United Abominations but Dystopia easily trumps that release. It’s hard to say where I would rank this in the band’s catalog. They have tons of great album and you can now included Dystopia in that long list. 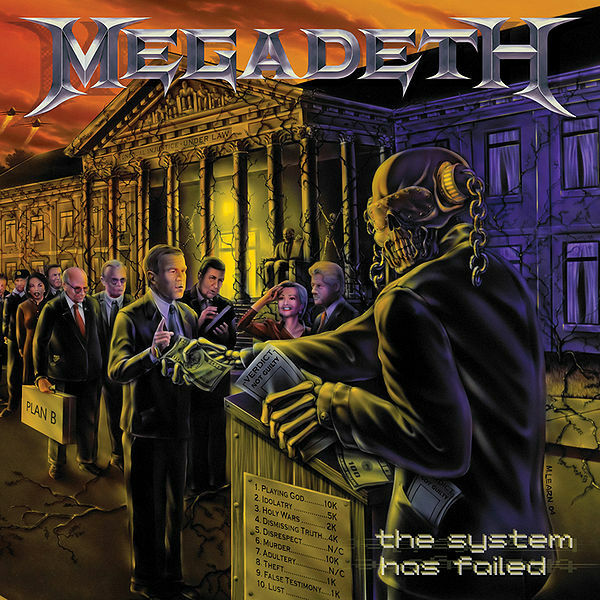 The System Has Failed is one of those situations where it was originally intended to be a solo album for Dave Mustaine but contractual obligations got in the way so it was released as a Megadeth album. This was a part of a very weird time in the band’s history. In 2002, Mustaine abruptly ended Megadeth, citing an arm injury that left him unable to play guitar. He was able to rehab himself to where he could play guitar again but instead of re-starting Megadeth, he set out to do a solo record and recruited ex-Megadeth lead guitar Chris Poland along with Jimmie Lee Sloas and Vinnie Colaiuta to do the session work. I know some people like to say Seventh Star isn’t a Black Sabbath release because that was recorded as Tony Iommi’s solo album but you don’t hear people saying that The System Has Failed is NOT Megadeth. When you’ve got Dave Mustaine playing/singing/writing a heavy metal album (not to mention original Megadeth guitarist Chris Poland contributing guitar solos) — that’s Megadeth. Unlike with Dave’s side-project MD.45, there was no attempt here, conscious or not, to not sound like Megadeth. 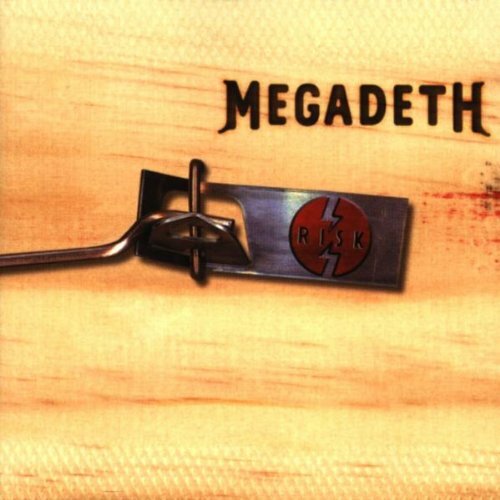 After the critical failure of 199’s Risk, Megadeth returned in 2001 with The World Needs A Hero, which was an honest attempt to right the ship and return Megadeth back to its metal roots. The System Has Failed is even faster and heavier and was pretty much well-received from everyone, including me. In fact, I was in love with this album when it first came out and it’s still one of my favorite Megadeth albums. It’s like Rust In Peace, Countdown to Extinction and Youthanasia all rolled into one. The album went a long way to restoring some of Dave and the band’s credibility in the realm of heavy metal. The band just gets heavier and faster from here into the 2010s and it wouldn’t be until 2013’s Super Collider that Mustaine took the foot off the gas pedal a bit. This one is still a classic Megadeth album for me. There’s so many great tracks here. “Blackmail the Universe” is a powerful way to kick off the album. Nonstop aggression and then “Die Dead Enough” sounds like Youthanasia. “The Scorpion” is another great track and I love the lyrics. Then you’ve got “Back in the Day” which is a lyrical nod to old school metal. “My Kingdom” is the only true filler here. Of course, Megadeth was back full-force on tour with this album but the official new Megadeth line-up was Dave Mustaine along with bassist James MacDonough, drummer Shawn Drover and drummer Shawn Drover. Mustaine had tried to recruit Nick Menza, Marty Friedman, Chris Poland and David Ellefson back into the group at various points before the tour kicked off. Nick signed on but was reportedly not up to performing and sent packing just 5 days before the tour started and no deals could be reached with the other three ex-bandmates. Yes, I know there are many, many Megadeth fans out there who will say that Megadeth was at their best during the 1980’s with 1990’s Rust In Peace serving as their magnum opus. As great as those years and all of those albums were, I disagree in regards to that era being the “best”. 1992’s Countdown to Extinction began Dave Mustaine’s quest to become accepted in the mainstream and I don’t think there’s anything wrong with that. Youthansia continued down the same road. If Countdown… was the blueprint, Youthansia was the finished masterpiece. Honestly, “Black Curtains” is the only weak link in the bunch. 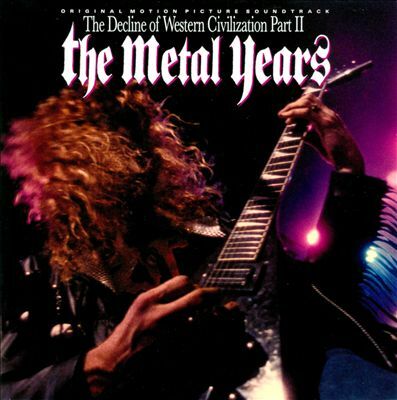 The rest is 11 tracks of hooks, melody and rock/metal greatness: the hammering “Reckoning Day”, the chugging “Train of Consequences”, the dark “Family Tree”, the popular semi-ballad “A Tout le Monde”, “Victory” name-checks previous Megadeth songs and “I Thought I Knew It All and mythology-fueled “Elysian Fields” are two of my favorite ‘deth songs of all time. See, this is the Megadeth I first became exposed to, so it’s my preference over their ’80s thrash/speed sound. I love the thrash/speed metal they previously had used but I think Megadeth is at their best when Dave is writing accessible catchy hard rock songs with just a bit of metal to them. Youthanasia isn’t a soft album. I still wouldn’t say it’s only hard rock but it’s definitely the most commercial and most polished album they ever released. Yes, even more so than Risk, I think. That album was just… different. 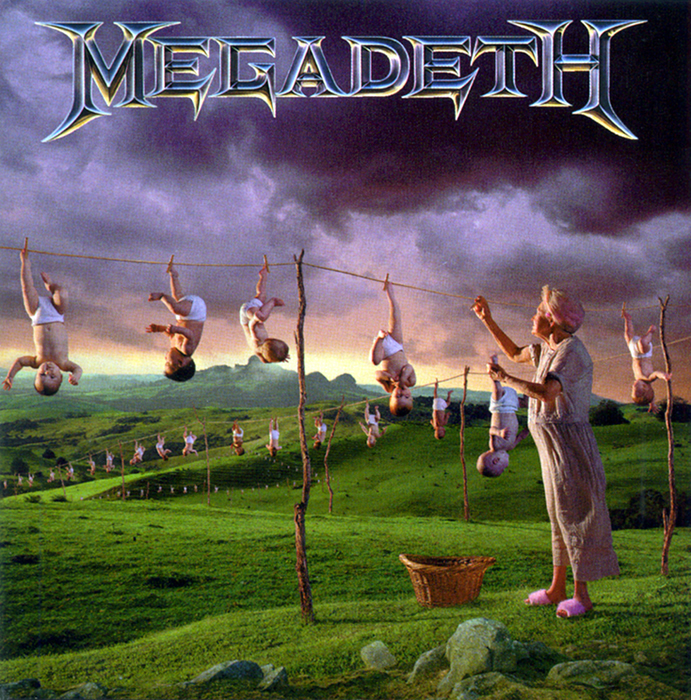 Youthanasia is lighter than Countdown to Extinction, the solos aren’t as prolific but the album still retains a metal quality. I may not be saying enough about an album that easily makes my Top 10 of All-Time, but what else do I have say other than it’s in my Top 10 of All-Time and receives frequent spins over 10 years after I first heard the album? I’m dating myself as a fairly recent Megadeth fan but my first exposure to Countdown to Extinction was back in the late ’90s or early 2000s when I picked it up from a local pawn shop, along with a few other Megadeth albums. Following the classic Rust In Peace, I can understand why there would be some backlash in regards to Countdown to Extinction at the time of its release. Countdown is still heavy metal, but it features a bit more polish and hooks than they have previously used. No doubt this slicker sound was achieved with by enlisting the aid of producer Max Norman but Dave Mustaine was also on a quest to prove he could outsell Metallica at any cost. I’m sure his former band’s massive success with 1991’s “The Black Album” convinced Dave that it was time to adopt a slightly more commercial sound. While Countdown to Extinction didn’t reach the insane commercial heights of “The Black Album” but it still managed to go double platinum and that’s something to still be extremely pleased with. Over time, the album has become generally regarded as one of the band’s best. I agree and that opinion is given merit thanks to stone cold classics like “Symphony of Destruction”, “Sweating Bullets” and “Countdown to Extinction”. But this is not a perfect collection of polished heavy metal. There are a few tracks that are nothing more than filler to my ears such as “Captive Honour”, “Architecture of Aggression” and “High Speed Dirt”. With a bit of a change in sound, Countdown to Extinction is a great album and another high point for what many consider to be the classic Megadeth line-up. This is the album that put the band on the path to deliver in 1994 what I think is their best album yet: Youthanasia. What’s in a name? Nitpicking here, because it’s the music that matters most, but I find the title of Super Collider to be lackluster and fairly generic (the same way I felt about Thirteen, even with its alternate alpha-numeric spelling). Yes, I know that’s the Large Hadron Collider on the cover (with Vic Rattlehead barely visible in the back there) but it’s all a bit “off” for Megadeth album, in my opinion. Especially with the picture being so bright and colorful. I will say the cover is made a bit cooler with the lenticular insert that comes with the album. I’m not sure if that’s a Best Buy exclusive as well or given to all releases. So, for a long time, Megadeth has been one of my favorite bands. For a period of time, it wouldn’t have been out of line to say they were my favorite. But, with each passing album, I find myself becoming less thrilled with them. Endgame and Thirteen were both disappointments to me with few bright spots and a lot of filler. So I certainly was not hyped up for Super Collider (and the uninspired album title & cover art only made matters worse). Based off the lead single, “Super Collider”, I figured I had this album already pegged as yet another disappointment. However, two more songs were released online that really piqued my interest: “Built for War”, which sounds like something that could’ve been on United Abominations. Then there’s “The Blackest Crow”, which is a very unusual Megadeth track that could’ve come from Risk and it has a creepy country/bluegrass vibe to it complete with banjo and slide guitar. Both of these songs got me excited for the album. And then I kept reading reviews online going “oh, this is a hard rock album, this isn’t heavy metal!” My response? “GOOD!” I’ve always felt Megadeth’s best albums came from the nineties, a time when they were blurring the line on whether they were metal or rock. With the last few albums, Dave seemed to be going in a direction that was heavier and faster than Megadeth had ever been. That’s quite an impressive and commendable feat, even if it didn’t lead to too many memorable songs, but it really isn’t what I wanted from the band. 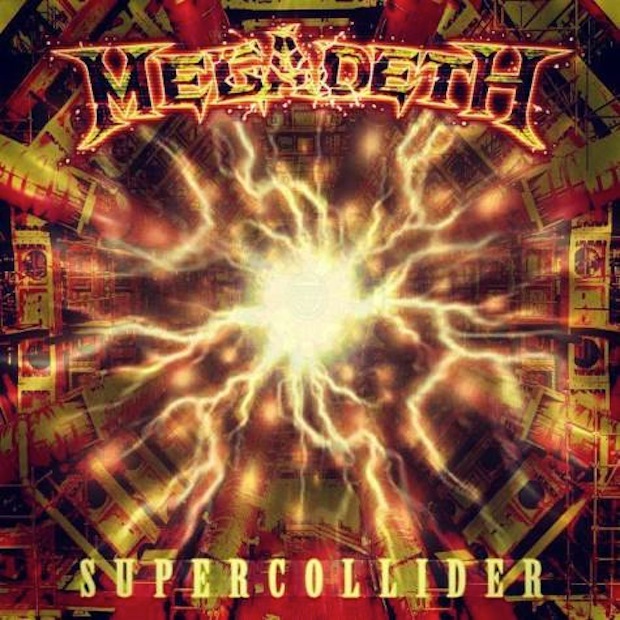 It seems like on Super Collider that Mustaine and lessened the intensity and added a much needed dose of melody & hooks that harkens back to Youthanasia and Countdown to Extinction. “Kingmaker” – Solid Megadeth metal to kick off the album. “Super Collider” – I found this one to be disappointing upon first hearing it (as did most people). It’s not a particularly heavy song. Probably about as radio-friendly as Megadeth can get. Sounds like it should’ve been on Risk. It’s actually grown on me with repeated listens but it was a poor choice to be the first released song from the album. “Burn!” and “Off the Edge” come off like filler to me. “Built For War” – Great track! This one is a modern Megadeth heavy metal classic right alongside “Gears of War”, “This Day We Fight!” and “Sudden Death”. This song is most definitely heavy metal. “Dance In The Rain” – I love the way this song starts off, with that somewhat creepy vibe Megadeth songs can have. This is actually Dave as a motivational speaker though (somewhat) — “you better learn to dance in the rain/instead of wait for the sun/dance in the rain/the sun will never come”. Disturbed/Device vocalist David Draiman appears on this track as well. Is that a selling point for you? It’s not for me. “The Blackest Crow” – Like I said, an unusual Megadeth track but I’m loving it. It’s bluegrass meets heavy metal! “Cold Sweat” – Pretty cool to hear Megadeth cover Thin Lizzy. Of course, it’s much more powerful than the Thin Lizzy version but it’s a faithful cover. As far as the three bonus tracks go, “All I Want” and “A House Divided” are decent. “All I Want” is a fairly good headbanger that is about girl — “all I want in a girl…”. Simple, but a cool tune. I would’ve been fine with this replacing “Burn!”. “A House Divided” is another unique song (horns! ), coming off like something that could’ve been on Risk or The World Needs A Hero. Both of these tracks are growing on me more and more with each listen. 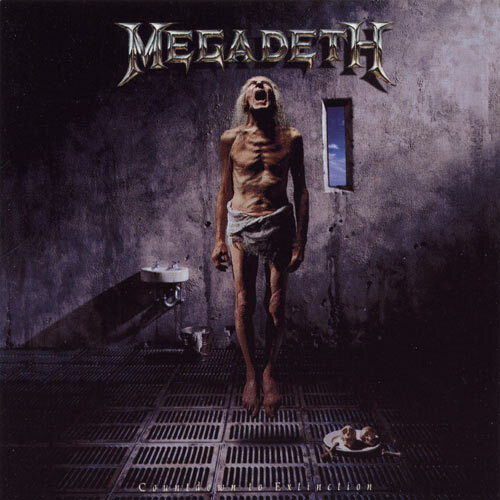 The third and final bonus track (and a Best Buy exclusive) is a live version of “Countdown to Extinction” that was recorded in 2012 at a show in Ponoma, California. 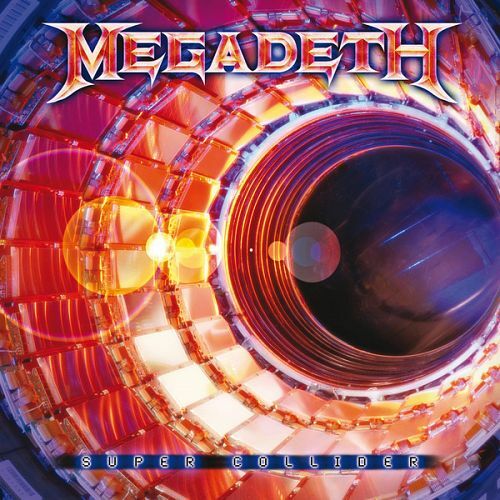 The artwork for the “Super Collider” single. I would’ve much preferred this as the actual album cover. Has a bit of a ’90s Megadeth vibe, I think. Maybe that’s because it reminds me of the alien ship in ‘Independence Day’. This artwork popped up online with claims that it was the album cover. I guess it was a rejected album cover/single artwork? It’s a bit goofy, reminds me of Overkill. Probably for the best that this one didn’t make it into production but I love how the Megadeth logo is breaking up. Overall, I think Dave & Co. have delivered the best Megadeth album since at least 2007’s United Abominations. Don’t let the people fool you — this is NOT Risk. You can’t categorize this album as solely hard rock, but it’s not a full-blast trash/speed metal album like the last two have been either. It’s a rock/metal album and that is completely what I want from Megadeth. 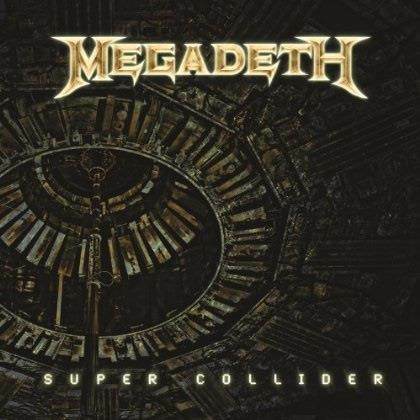 Megadeth’s stock was dropping with me after Endgame and Thirteen but Super Collider has started to set things right once again.